Missing teeth can be embarrassing, causing people to hide their smile and lose their self-esteem. The space that missing teeth create can easily become infected with bacteria, causing other teeth to shift out of place, and making it difficult for people to speak or eat correctly. The team at Roderick A. Garcia, DMD PC are sensitive to the hardship a missing tooth can create. We provide dental implants so that our patients can regain their self-confidence, improve their health, and approach life boldly. Installing implants is a complex procedure that requires us to replace their missing teeth in a safe and natural way. 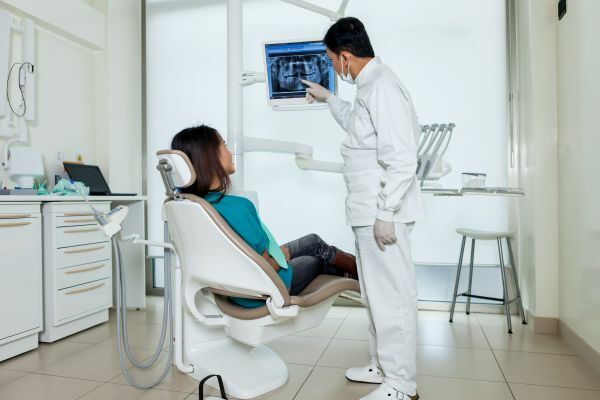 We know that there are multiple dental providers to choose from, so the team at Roderick A. Garcia, DMD PC are constantly looking for ways to improve the overall experience of our patients. Our office is located in Albuquerque and we offer patients the opportunity to restore missing teeth in a way that looks natural and beautiful. If one or more of your teeth fall out, you may qualify for dental implants as a way to permanently replace the missing teeth. In order to find out, schedule an appointment with our Albuquerque dentist office by calling (505) 634-5029. We will examine your mouth and jawbone to determine if the procedure is right for you. Before we begin the procedure, your gums need to be healthy, and your jawbone needs to be strong. If we identify any cavities or signs of gum disease, we will need to treat it prior to the dental implant procedure. 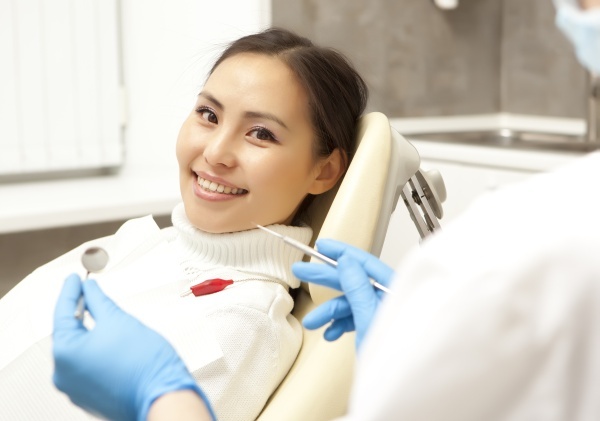 Once you are cleared for the procedure, the staff at Roderick A. Garcia, DMD PC will take an impression of your mouth to create a new tooth in a dental lab. Each synthetic tooth will match the size and shape of the surrounding teeth, along with having a perfect color match. This way your smile will appear completely natural once we complete the procedure. Many patients are satisfied with the results since no one can tell the difference between which teeth are real and which ones are synthetic. The team at Roderick A. Garcia, DMD PC provide dental implants in a way that is comfortable and functional. We take the time to make sure that every aspect of the procedure is completed correctly – the first time. In order to care for your implants, we advise patients to brush and floss their teeth throughout the day like normal. Additionally, it is important to schedule dental exams and cleanings with Roderick Garcia at least twice a year. The staff at Roderick A. Garcia, DMD PC will help to clean your teeth and ensure that they stay healthy. 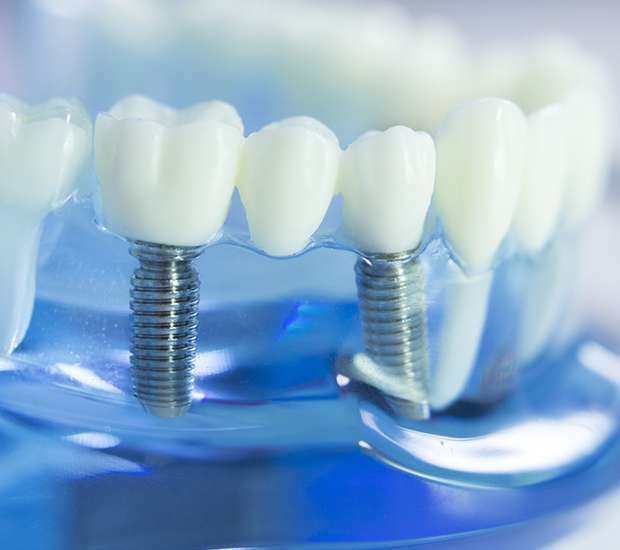 While dental implants cannot become infected themselves, the teeth around them can. If, in the future, you suffer from a severe case of gum disease or a dental abscess, the infection can spread into your jawbone. This puts your implants in jeopardy because in order to stay secure, the jawbone must be in good health. If it becomes infected, your dental implants and all of your teeth will be in jeopardy. 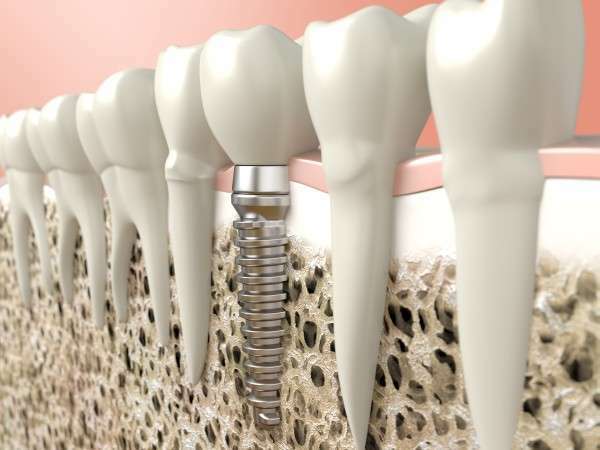 If you currently have implants and your teeth start to hurt, call 505-634-5029 to schedule an appointment immediately. This way we can identify any infection and treat it before it can spread into the jawbone. As long as you follow these simple preventative care steps, your implants and natural teeth should remain in good health. In order to find out if implants are right for you, call (505) 634-5029. The team at Roderick A. Garcia, DMD PC are friendly, welcoming, and will take the time to inform you of all of your options. We will make a detailed recommendation about the best choice for your oral health by customizing it to your needs. Just remember that you can have a beautiful and natural looking smile by working with a professional implant dentist. If you are suffering from missing teeth, we can help you by transforming your smile. Schedule an appointment and let us transform your smile into something as beautiful as you are.